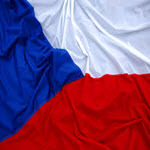 The Czechoslovakia Republic Government announced that they are introducing a bill allowing for all of the land based casinos within the country to provide legalized online betting, this information came to light after the Deputy Finance Minster in the Czech Republic announced it in an interview. Ondrej Zavodsky made this announcement during the interview, the deputy finance minster states that the current government in the country in looking a way to better the amount of tax revenues that they bring in each year. One of the ways their planning to do this is by legalizing online gambling in the country. As of right now the country brings in an estimated 8.1 Billion Koruna in gambling revenues which is roughly $401 Million USD. Online Gambling would allow for more revenue and impact the country in a positive way as the bill will increase the amount of profit that Czech Republic earns from gambling operators by 20%. This will in return allow for the country to grow. The bill will be put into effect by 2016.